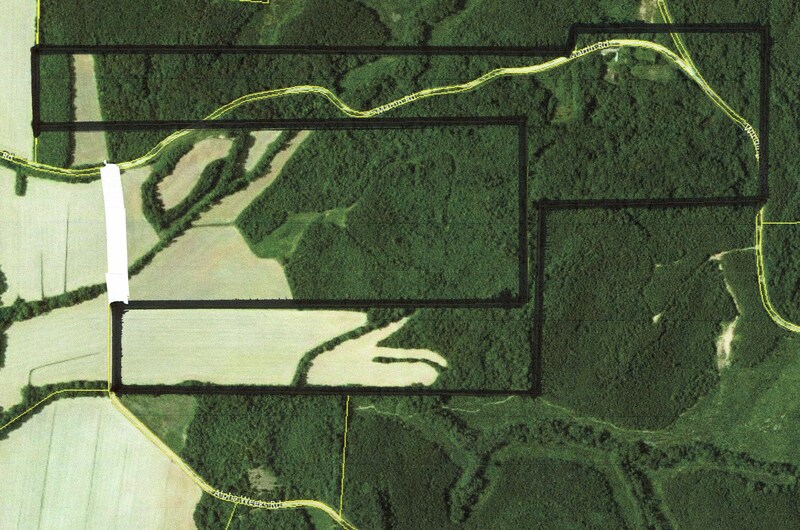 MARTIN RD - Approximately 114 acres of Tennessee land for sale consisting of row-crop farm land and timber land, with a sensational cabin building site, food plots and seasonal stream running through acreage. Property has approx. 1 mile of frontage on 2 roads for easy access, with several ATV trails, and electricity is available. There is an old home place that is ready to build on, with remnants from a large barn built many years ago. Other structures include a salvaged mobile home that's being used for a hunting camp, along with a shed. This 114 +/- acre tract has around 30 acres is in cultivation, that could be converted into pasture for horses or cattle, with the remaining in hardwoods, except for a couple of food plots, and home site. Whitetail deer and Turkey are in abundance, and there are No Restrictions. Property is located just a few minutes from Adamsville and Tennessee River.